Lex and I don't like exchanging gifts just to exchange gifts. We are both really good at getting the things the other needs on a normal basis. So instead of buying things we didn't need we decided to go to the zoo to celebrate our 2 year anniversary! And it was the best decision. It also happened to be the 50th Anniversary for Mold-A-Ramas. If you know me, you know I always get one of these awesome wax figurines when I go to the zoo or anytime I come across a machine. The weather forecast was not looking good that day so we decided to get there right when it opened. 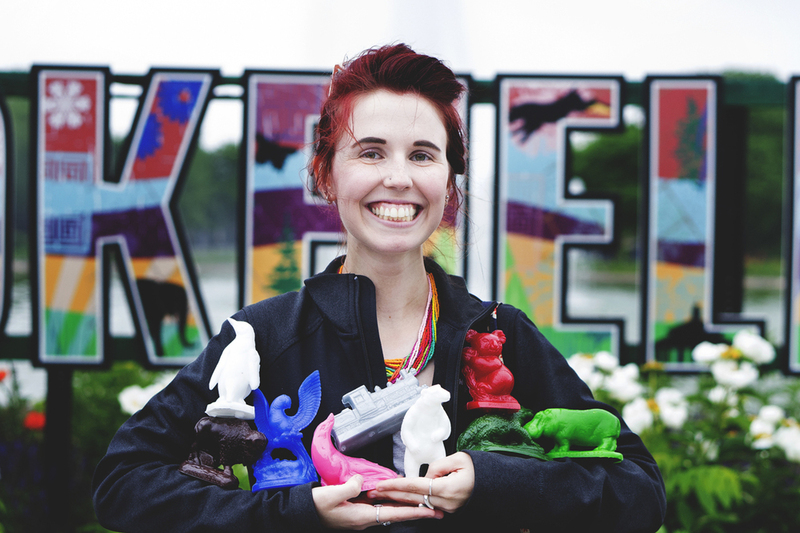 Our mission was to get all the limited edition Mold-A-Ramas and any other normal figurines we didn't already have. It was a complete success. My Grandpa Cook started me on this tradition of getting one every time we went to the zoo many years ago. I think he might have had a hand in holding off the rain long enough for us to get through the list.